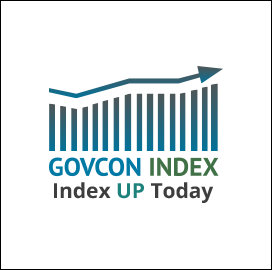 The Executive Mosaic GovCon Index (GCI) closed up for the third consecutive day to 98.461. Advancers barely outpaced decliners at 16 to 14. The major indices closed mixed on the day with the S&P500 at 2,469.94, while DJIA closed at 21,513.58. The NASDAQ Composite settled at a new record high of 6,410.81. Crude oil ended the day up, reversing the slump experienced in the latter half of last week. WTI on the NY Mercantile Exchange posted a gain of 1.40 percent to $46.41 per barrel.